Although I have a bird dog, I'm not a hunter and I've never understood the appeal of hanging the head of a stuffed, fill in whatever animal here, on the wall. It's creepy, like a room full of dolls staring at you while you sleep. 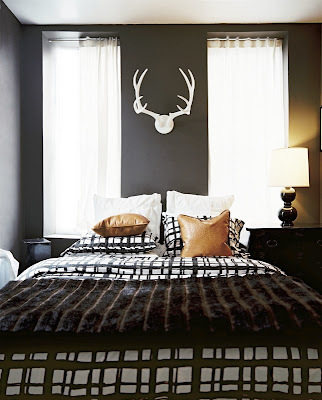 However, I do like the modern antlers in picture #2 - no eyes. 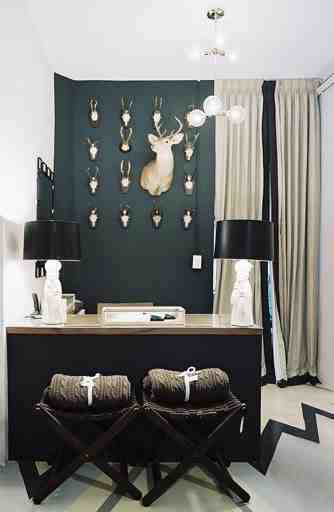 This week's installment of Mountain Style Mondays ... wall mounted animal heads and modern day antlers. Side note: I'm not positive if the pictured were at one point truly alive.